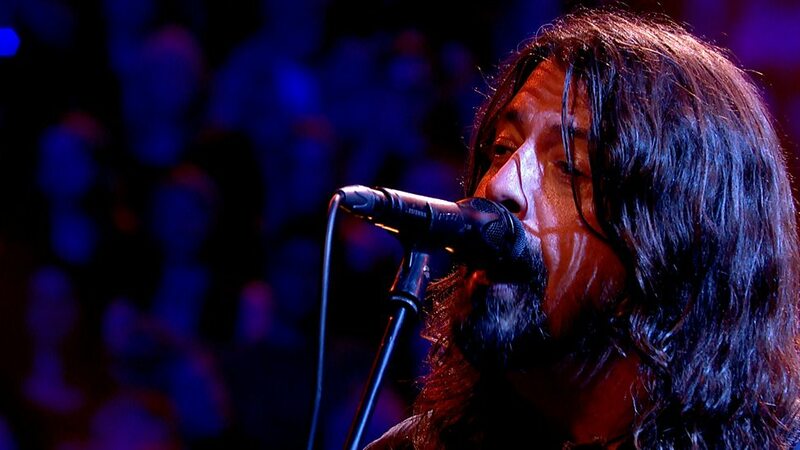 The Foo Fighters rocked their 2002 classic, “Times Like These”, as part of a 25th anniversary special for the BBC’s “Later.. With Jools Holland” program in London on September 21, and official video from the event is streaming online. The Royal Albert Hall concert featured performances by Paul Weller, Van Morrison, Dizzee Rascal, KT Tunstall and more as musicians and fans alike turned up to celebrate the former Squeeze keyboardist’s lengthy broadcast career on BBC 2, which to date has delivered 50 series and over 360 programs on the UK television network. The group’s ninth set was co-produced by the band and Greg Kurstin (Adele, Kelly Clarkson, Sia) and mixed by Darrell Thorp (Beck, Radiohead). The Foo Fighters will launch the record with a fall US tour that will begin with their own Cal Jam 17 festival at Glen Helen Regional Park in San Bernardino, CA on October 7, which will feature more than a dozen acts, including Queens Of The Stone Age, Cage The Elephant, Liam Gallagher, Royal Blood and more. The groups will follow the Cal Jam 17 event with an October 12 performance at the grand opening of the new Washington, DC venue, Anthem, before bringing their live show to arenas across the US, with dates scheduled into December.